Last quarter I published the first in a series of four articles on breakthrough leadership. In that article I talked about things that leaders can do to encourage their own personal breakthrough strategies. This article is about the steps that leaders can take to get everyone around them to breakthrough more often! We define breakthrough leadership as the leadership skills and dispositions necessary to take human performance and organizational outputs towards distinguished and record-breaking levels of performance. Be at your best! Come on!! Please? How illogical. In most situations leaders ask those around them to perform at outstanding levels. Yet, we often provide very little in relationship to direct guidance in helping them actually get there. In most cases we are simply hoping the best version of our colleagues and collaborators just shows up. Saying “please” is polite, but it doesn’t get you necessarily closer to breakthroughs. If you want those around you to break-though, you have to help them! Brand your leadership – In the book The Leadership Secrets of Attila the Hun the author described a leadership style that was perfect for spreading fear in the western and eastern Roman Empires. In the book, The Google Way the author describes how the leadership brand at Google allowed them to reshape their business, and the world. Attila’s style probably wouldn’t work in Silicon Valley. What do we believe leaders must do to help others be the best at what they do? What makes us special? How do we lead in a way that makes “special” show up more often? In helping groups answer the first question, we have often reminded them that leadership is both an art and a science. There is real research that describes what leaders can do to get the most of others. For example, we know that creating a safe, fun, stimulating and inviting environment helps humans think and create with greater effectiveness. We also know that the psychological state of relaxed-alertness is the optimal condition for human performance. Leading in a way that supports these outcomes is shown to be the best way forward. Sorry Attila. Your way may not be best. With the second question, the question of “what makes us special” isn’t asked nearly enough. Many times growing companies will lose their way when they respond to the growth instead of focusing on the unique competencies that caused the growth in the first place. Google is a special place because they value creativity and innovation. It’s in their brand and it’s how they are led. What makes your team or organization special? Name it. Claim it. And lead in a way that makes it show up. Make breaking through a working condition – Does your job have creativity in a job description? Does it suggest that you should reinvent your work and come up with new ways of adding value all the time? Sadly, most job descriptions don’t have such aspirational content. This is because most jobs at their basic levels are designed to keep people working to some imagined specification. However, futurists have made it clear that this crazy arc of change all of us can feel going on around us isn’t going away anytime soon. Our world of work will keep changing around us and if we aren’t changing along with it, we won’t be able to keep up– and neither will the systems in which we work. So how do you create a working condition where creativity shows up more often? How do you make breakthroughs a more consistent habit? Clearly, you need to put it into the job description… Either in reality or as an ongoing, out loud expectation. If as a leader you are expecting breakthroughs from those around you, let them know that breakthroughs are welcome. Let them know that challenging the status quo is not only permissible, it’s expected. In some organizations they have added two items to their agendas. Stop lists and innovations. The stop lists described functions that can perhaps be left behind or strategically abandoned. Innovations represent new actions that can be taken with the extra time made available thanks to the time provided in the stop list. Let your teams know that you expect them to breakthrough and to a greater extent, they will. Actively support learning, and other crazy ideas – At the heart of any good leader is the capacity to learn new things and to support the learning of others. Teams and organizations are as effective as their ability to adjust to the world around them, learn new competencies and grow! To that end, the best leaders today take specific actions to support learning. They get active and encourage participation in professional activities that result in growth. When budgets get tight there is a tendency to reduce line items related to going to conferences or investing in other growth opportunities. We suggest this is a backward facing solution in that the best way to respond to a shrinking budget is to grow the bottom line. In most cases, growth and the bottom line comes from learning new things and creating opportunities and innovations! As for crazy ideas, we recommend that the best leaders can help others learn to breakthrough more often if they allow them to get in touch with their crazy side. How many times have you had a crazy idea only to watch that crazy idea come to fruition in some form or another—maybe with someone else being willing to act on the crazy? The emergence of crazy ideas in an organization is important because one of the best ways for a system to remain creative is to stay in touch with its capacity to dream. Have you ever had a crazy dream? Suddenly as you think about that crazy dream you realize that maybe if you got lucky it would come to fruition. Then suddenly when you began to work at it you realize that maybe, just maybe, that crazy dream can come to reality. The best leaders create conditions for crazy ideas show up more often. At Google they actually require that every employee maintain a part of their schedule around pet projects that may never show profitability, but push the innovation envelope. So what crazy ideas do you have? Are you brave enough to pursue them? More importantly, if you’re a leader, are you brave enough to listen to and encourage the crazy idea of others? If you are, breakthroughs for you and for them are far more likely to occur!! Getting others to find their breakthrough is at the heart of what it means to lead. Leaders who are good at this create teams that are extremely competitive, and usually very happy and working together. We encourage you to develop your leadership brand, make breakthroughs and agreed-upon working conditions, and creating working environments where learning is at the heart of what they do. Finally, if you have a crazy idea, chase it. It you have a team of innovative people around you, get them to get crazy and achieve their creative, crazy ideas right along with you. One of these days maybe one of those crazy ideas will lead to a breakthrough innovation that everyone can be proud of! Don’t wait. Start the breakthrough today—yours and theirs!!! Allyson Mallah is the CEO of Everest Edge Enterprises, LLC, a global management-consulting firm, with one focus- to disrupt the status quo and develop an edge for the organizations they serve. Allyson brings over a decade of successful, high performance leadership coaching experience serving a wide variety of clients including the C-Suite, senior leaders, and high potential emerging leaders. She is an ACC-ICF Certified Coach, a graduate of State University of New York and has a track record of professional success, serving as VP for a management-consulting firm for several years and leading business development in highly profitable Fortune 500 companies. Allyson also has an impressive “trek” record in recent years, aggressively challenging herself to continuously explore the world, trekking the Himalayan mountain region, Torres Del Paine in Chile, and The Amazon. She is a competitive amateur athlete and holds a training certificate with the National Academy for Sports Medicine. This combination of academics, athletics, and an uncompromising, continuous pursuit of wellness solutions gives Allyson a wide variety of tools to lead Everest Edge Enterprises. Her experience is the backdrop. 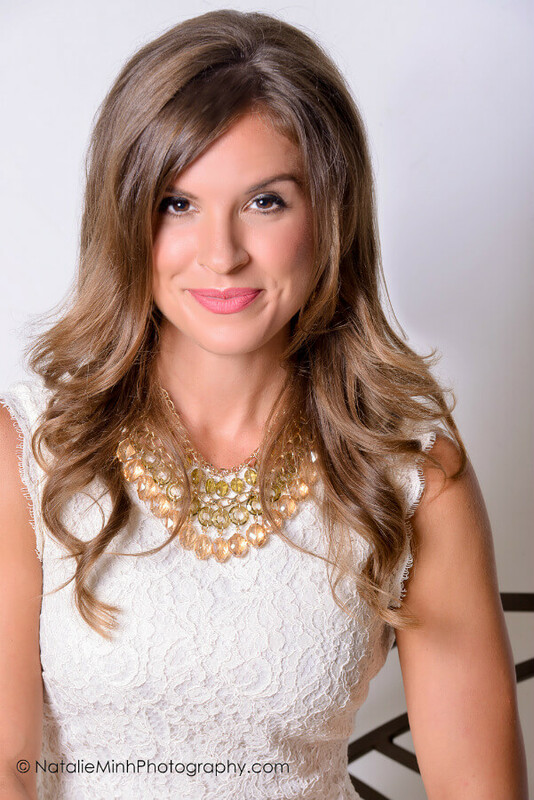 Her passion for her clients and her mission is the fuel that drives her. This force creates the inspiration behind E3, resulting in clients that attain strategy, skills, purpose, and new levels of momentum-producing alignment. As CEO Allyson empowers her team and her clients by helping everyone she engages with align with their purpose and their people to drive their work. A growth oriented writer and blogger, Allyson has been published in Oxygen’s Women’s Fitness, Max Muscle Sports and Fitness, The Village Health Clubs & Spas, Green Living Magazine, and Scottsdale Health. Find her on Facebook, Twitter, LinkedIn, or email her at info@e3aligns.com.